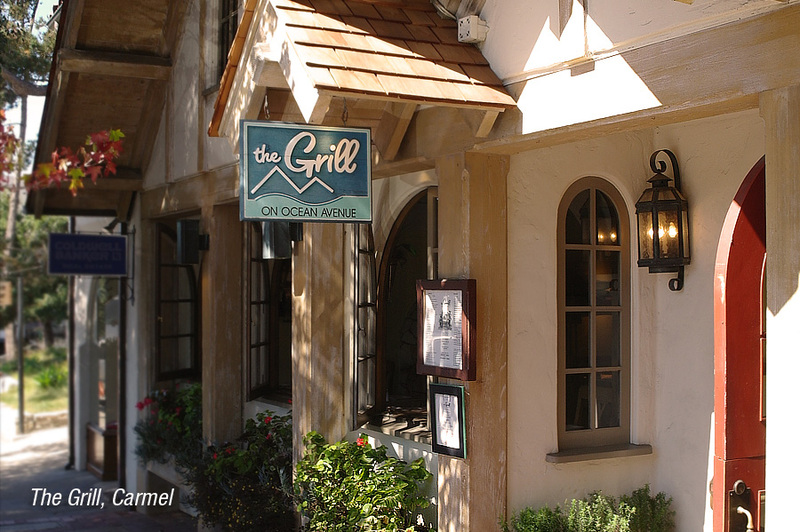 There are so many great restaurants to choose from when visiting Carmel, it’s difficult to narrow your search down. Whatever you’re craving, Carmel is sure to have a restaurant for it. Although the selection of places to eat is diverse and unique from each other, we enjoyed every bite at the places we ate during our 2 day honeymoon. la Balena — With their changing lunch menu, you’ll be sure to find something that will tickle your taste buds with flavour. The food and service here was excellent, and we enjoyed our last lunch in Carmel at this Italian restaurant. 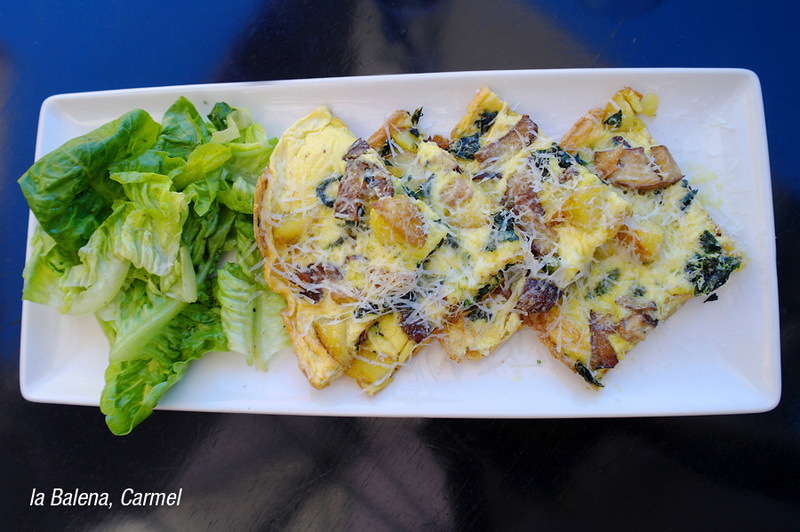 I would recommend you try their Cavolfiore Fritto (cauliflower appetizer) along with the Frittata. Don’t forget to bring your dogs along with you to this place. Like many shops and restaurants in the area, la Balena is dog friendly. The Grill — Although the atmosphere of the restaurant wasn’t what I expected with blown up photos of the famous Pebble Beach golf course. The restaurant is smaller than I thought and it can be noisy, paired with paper table clothes on top of linen. We can overlook that for the quality of the food the chef makes. We’d be back again simply for the lamb and salmon we raved about while eating it. The staff were so friendly, popping in to check in on us from time to time. The meals were pricey, but well worth it. 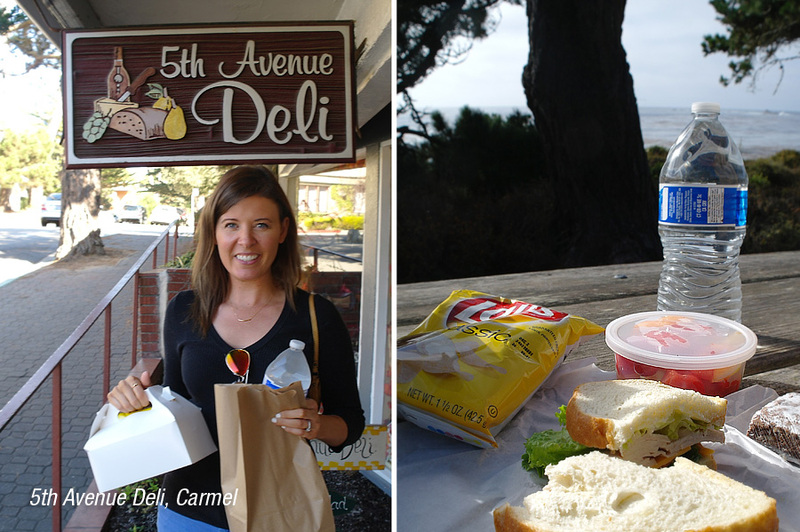 5th Avenue Deli — You won’t be able to eat inside this deli as there’s no seating so it’s a perfect way to grab a quick lunch and explore Carmel, Point Lobos, or drive to Big Sur and have a picnic. There was so much food to choose from, bakery, deli meat sandwiches, and even a buffet style salad bar when you walk in. If you’re stumped for ideas, go for one of their 4 choices of picnic lunch boxes that won’t break the bank. Brophy’s Tavern — If you want to give your wallets a break from all the money you’ve spent on food, this is the spot to visit. Brophy’s is a traditional American style sports bar serving large portions of pub food to your table quickly. When we ate here, the San Francisco Giants had won their game and were heading to the World Series, so you know this place was hoppin’. It had a great vibe with the local crowd, it was fun seeing them all pumped and cheering at all the TV’s for their our home baseball team. Well I may try one of these out, as we’ve booked a night in Carmel over Thanksgiving! Yay! Carmel does have a wide range of choices, most of them being great ones! :) I will have to check these out when I am in the area next. Thanks for sharing. Will save this for next time we are passing through. Looks like a yummy list of suggestions. Thanks! I am saving this list for sure. I need a trip to Carmel, these places look and sound amazing! Jamie @ Makeuplifelove recently posted..Black Honey Baby…. Oh Man! I needed this post last Fall when we stopped in Carmel on our way to Point Lobos. We wanted a quick bite but everything looked pretty swanky. That deli would have been perfect. Pinned for next time:). Oh my goodness all of that looks so delicious! That first picture made my mouth water! I’ve been dying to visit Carmel!! I’m going to have to check out these places once I finally make it! Yum! 5th Avenue Deli looks AMAZING! I love those giant deli sandwiches. I’ll have to check it out if I visit! My mom lives really close to there. I’ll have to check this all out the next time I go visit her. Gorgeous pictures! I want to be there right now! Ahhhh, I want all of them. Right now! Well, based on your food photos alone, I think I just need to up and go to Carmel. ;) Yum! I love it when restaurants let you bring dogs in. I do get quite distracted by them when I’m supposed to be eating though! 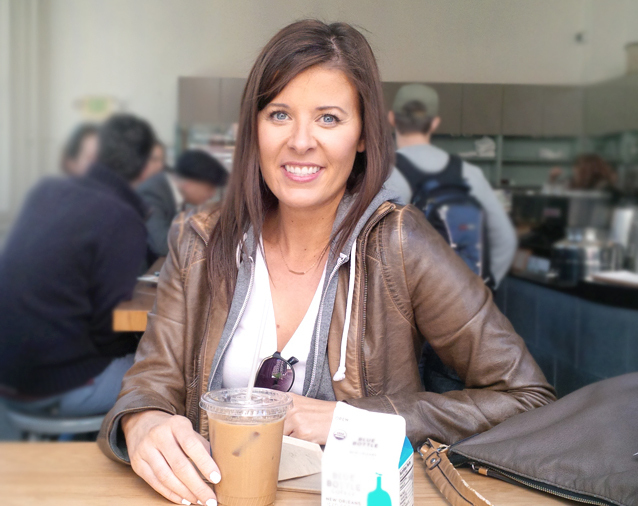 If I’m ever in Carmel, I’ll let you know that I used your list! All that food looks so fresh and delicious! If I’m ever in Carmel, I’ll have to check them out. 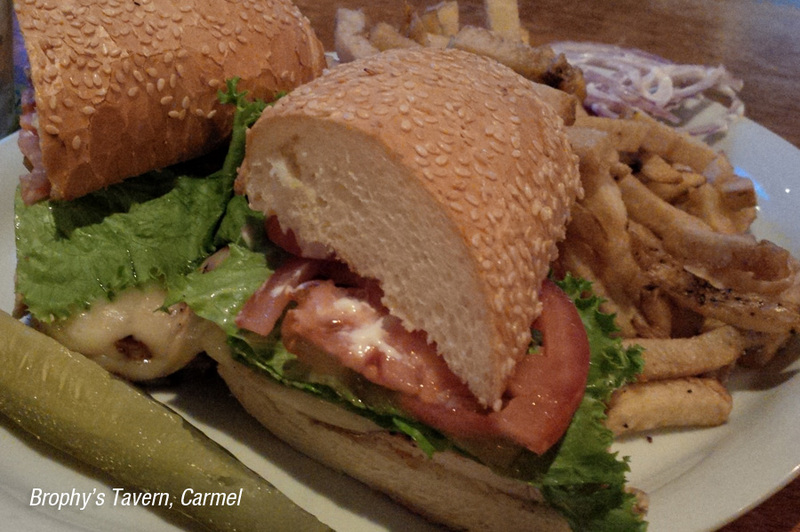 I have never heard of Carmel, but now I need to go there and eat all of that! Yum! All of it looks so fresh! we love carmel! will keep this list handy for our next trip! The food! Jeez, this looks fantastic and yummy. Makes me want to take a trip just for the food. I love exploring home based restaurants, one of the perks of moving around with my husband’s career is discovering the little gems! It’s worth the few flops you find along the way! One thing I learned a long time ago was to ask the wait staff at restaurants where they like to eat, usually they are locals and they know all the hotspots. I’m drooling right now. I need this food. I’ve never been but have always wanted to go! Looks like each place would be a fun place to dine! These pictures are making me hungry lol. Carmel seems like the place to be for sure. oh YUM. definitely need to get back down there – so charming! 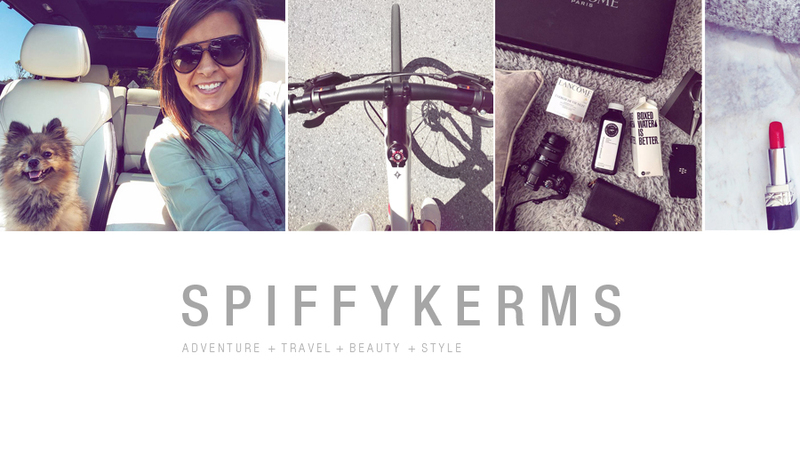 Bookmarking this post in case I ever have the chance to travel to Carmel!